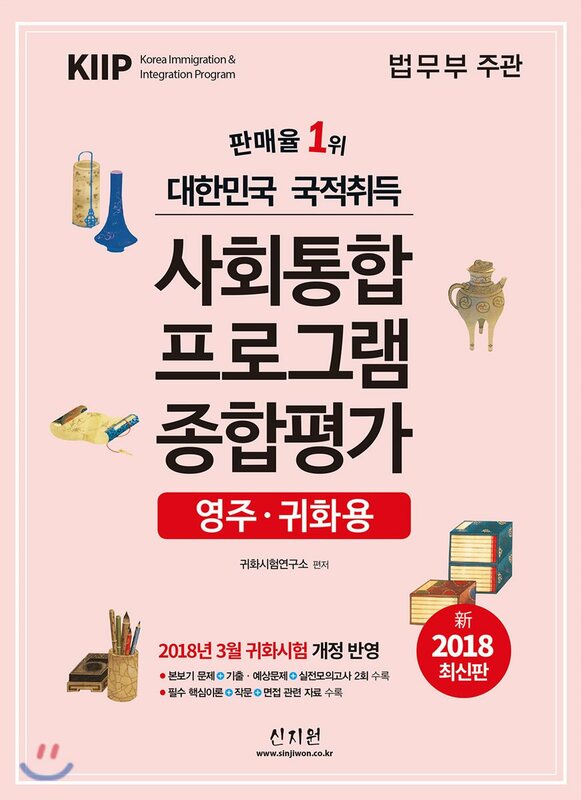 사회통합프로그램 종합평가 2018 PDF (KIIP Comprehensive Test) is a language test designed for evaluating your Korean proficiency and understanding of Korean culture & society. By taking and passing this test, you will get benefits of exemption from the written and oral tests (면접 심사 면제) when applying for the acquisition of nationality (대한민국 국적취득) and reduction in the waiting time for naturalization screening. To help test-takers prepare better for the test, several test books have being annually published. Among them, 사회통합프로그램 종합평가 (영주.귀화용) book is the most popular guidebook. The book can be ordered online on Gmarket or other bookstores at the cost of 13,500 won. 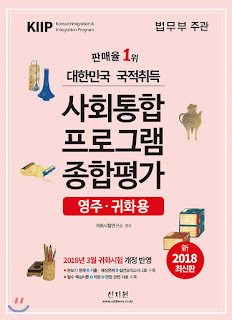 Note that when buying the book online in Korean, you will get 10% discount for nearly everybook.